With government-Centre and state governments being a party to nearly 46 per cent of the 3.14 crore cases pending in courts, Law Minister Ravi Shankar Prasad has asked the central and state ministries to help reduce the burden by filing cases only after taking a “careful and considered” view. “It is time the ministries shed the tag of being a compulsive litigant...the judiciary has to spend its maximum time in tackling cases where the government is a party, and the burden on the judiciary can only be reduced if the cases are filed after taking a careful and considered view.”, Prasad said in a letter addressed to his cabinet colleagues, heading various ministries. 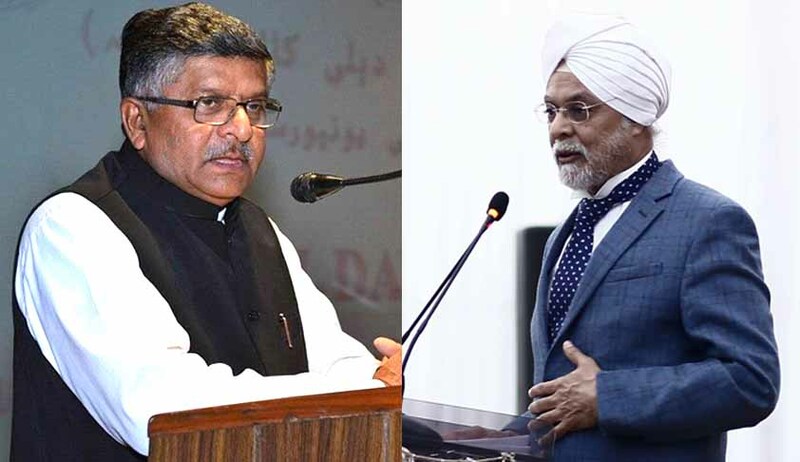 The stand is significant as three recent chief justices P Sathasivam ,R M Lodha and T S Thakur had repeatedly asked governments and public sector units to find ways and means to reduce litigation calling central and state governments the “biggest litigant”. The Law Minister has also addressed a similar letter to the chief ministers of all states. He said officials should identify frivolous and vexatious matters and separate them with merit and take quick steps to either withdraw or dispose them speedily. Filing of new cases against the state governments or the government staff should be discouraged and recourse to litigation should be adopted only as a last resort, Prasad said. The Law Minister's letter to his cabinet colleagues and the CMs came at a time when the Centre is working to bring out a national litigation policy since 2010. Several states have already adopted their separate litigation policies. Prime Minister Narendra Modi had in October last termed the government as the biggest litigant and had pushed for a need to lessen the load on the judiciary which spends its maximum time in tackling cases where the government is a party.